Analyzing the power markets require significant amount of experience and cross industry knowledge – see our whitepaper on power modeling. 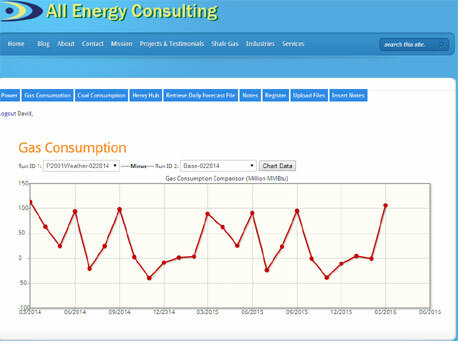 All Energy Consulting (AEC) has put together Power Market Analysis (PMA) to deliver market insights for your success. Today’s constant connections allows us to deliver insights daily. PMA is here for you whenever you need it given its daily computations. PMA is prepared for any major market changes. Fuel procurement groups in order for them to make and evaluate their energy options – see our article on Winter Fuel Purchases. Equity analysis needing to understand generation asset performances – see our article on Portfolio Market Risk. End-Users in order to better hedge power prices. PMA will identify key variables driving the futures market. And quantify the market risk so you make the best decision – see our End-User presentation. Utilities hedging power prices while balancing reliability can also derive much value from PMA – see our Whitepaper on Saving Rate Payers. A better understanding of the power markets can add significant value to trading, hedging, budgeting, commodity fundamentals, planning, and policy lobbying. AEC is offering an integrated view of the power markets through two different suites of products – Power Market Analysis (PMA) NT and PMA LT. Both products are put together based on numerous years of experience in the power, coal, and gas markets. PMA has been tested to produce valuable insights into the power prices and fuel consumption in the power sector for coal and gas. PMA processing backbone uses the AuroraXMP developed by EPIS. AEC has over 10 years of experience in operating and managing EPIS products. The model is only a portion of the process as noted in our whitepaper. PMA value comes from the rigorous work to setup the model to accurately portray the markets. AEC 18+ year experience in the analyzing the energy markets has enable PMA to substantially improve the efficacy of the model. The entire N. American power grid is modeled. PMA NT can be designed to run daily producing as many variations of monthly forecast cases as time permits e.g. base, high power price, low power price, high gas demand, and low gas demand – for all major power pricing hubs for the next 2-3 years. We can work with you to design the scenarios to meet your particular needs. A risk adjusted future curve can be generated daily. 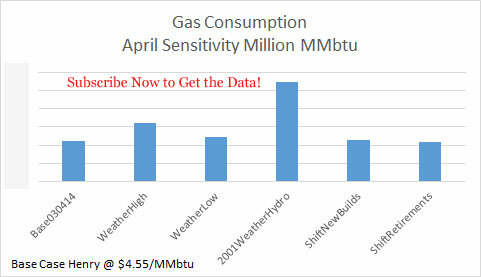 State by state monthly gas demand from the power sector as well as coal basin demand can be presented. PMA LT is a monthly forecast out to 2035 produced quarterly. Given the long-term outlook, a fundamental gas view point was developed in coordination with RBAC the makers of the GPCM® Natural Gas Market Model. 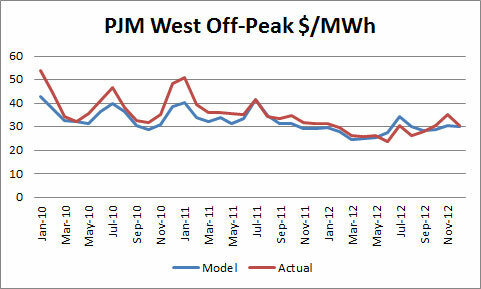 The quarterly outlook will present monthly prices for all major N. American power hubs. In addition, a report will be included to support the outlook. Description of retirement and expected new builds will be detailed in the report. 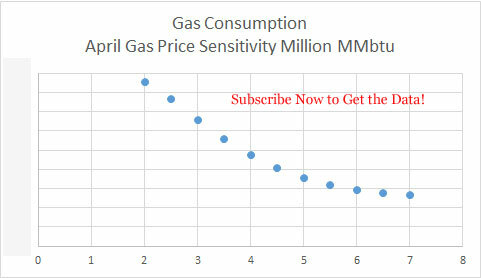 PMA LT subscribers can get access to gas pricing and a report supporting the gas fundamental outlook. Customization of long-term outlook (e.g. Carbon policy) is also available to subscribers. Please call or email David Bellman (dkb@allenergyconsulting.com) 614-356-0484 for further information. Our Calibrations Are the Best! Never use any results from anyone without seeing their historical calibration runs. If they don’t have them move on. PMA processing backbone uses the AuroraXMP developed by EPIS. AEC has over 10 years of experience in operating and managing EPIS products. The model is only a portion of the process. PMA value comes from the rigorous work to setup the model to accurately portray the markets. With PMA you will potentially receive access to a daily developed two-year outlook for projected monthly coal and gas consumption by the power sector. 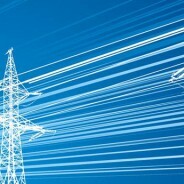 In addition, clients interested in power prices will receive projected power prices from across North America. 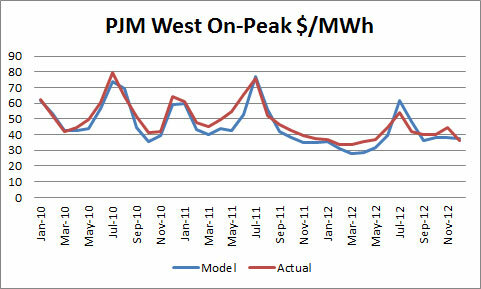 Our model can run daily, incorporating the latest viewpoints from the forward gas and coal markets. 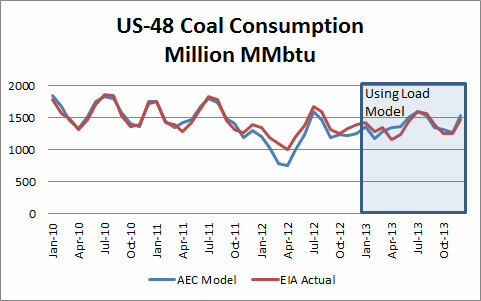 The base model will also use AEC’s proprietary load forecasting model to project normal weather conditions. PMA is designed to be able to be customized. The default PMA runs 5 scenarios each day just to be able to show the capabilities of PMA. You can choose to do as many sensitivities – time permitting. We can work with you on developing the sensitivities that make sense to your markets. 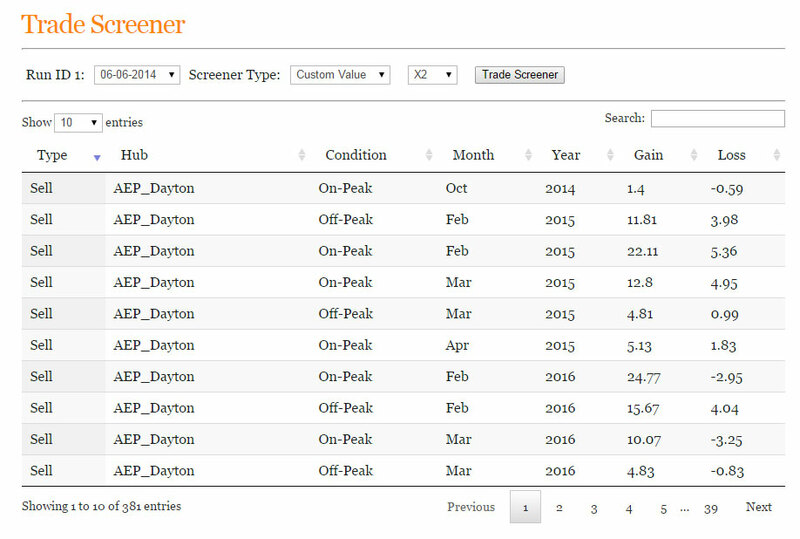 PMA Platform also includes our powerful trade screeners – allowing you to filter for trades which meet your criterias. PMA will also offer additional analysis such as our monthly snapshot into the next month. 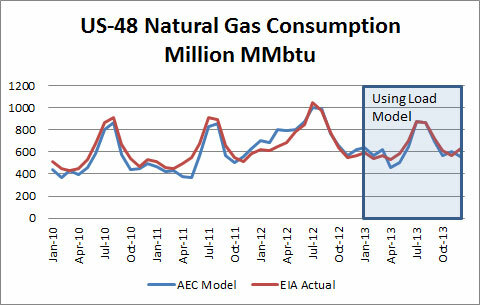 We will present a range of outcomes as a result of natural gas price change to other pertinent variables. In addition our online interface allows you to quickly see how the market is changing and how different cases compare to each other. With a few clicks you can easily see the difference between cases. In the example below we take a look at the change in gas consumption if weather and hydro capability was like that in 2001. Customization is available to subscribers. Customization ranges from customizing inputs to outputs. PMA is flexible to allow custom studies to be developed. 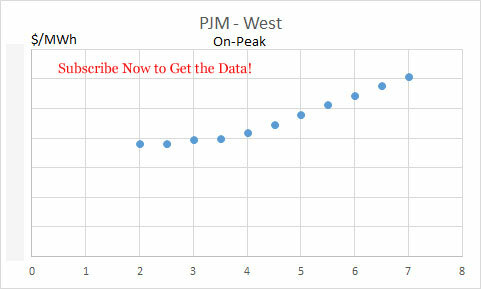 A subscriber will have access to PMA key metrics which drive the model. These metrics include gas price (henry hub and 32 basis), coal price (6 benchmark), GDP (Total and 8 economic zones), 9 weather zones, and various emission prices. Custom output is available which includes the ability to produce generator and unit specific information from generation, fuel burn, fuel cost and many more. Brochure: PMA-NT for Trading, PMA-NT for Procurement/Hedging, and PMA-LT for Planning Please call or email David Bellman (dkb@allenergyconsulting.com) 614-356-0484 for further information.